Deluxe Systems represents Metro’s high quality line of storage equipment including MetroMax iQ and MetroMax Q polymer shelving/storage systems. No one else offers a system like Metro’s. Please contact us and one of our sales associates will work with you to design a system for your exact needs. 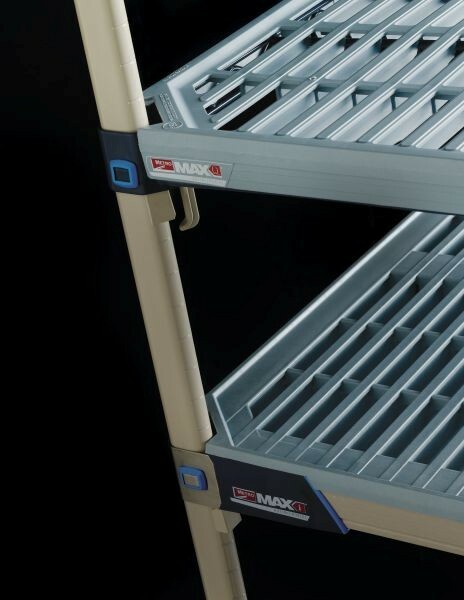 MetroMax i shelving offers lifelong durability – the strength of steel and a lifetime warranty against rust and corrosion. 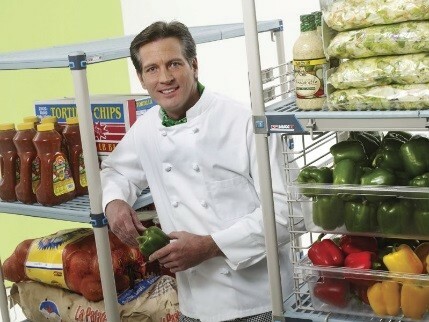 Shelves are built of advanced polymers with type 304 stainless steel corners. Posts are all polymer. Removable polymer shelf mats and smooth surfaces promote easy routine cleaning and protect packaged supplies from unwanted damage. Ideal for general wet or humid environments, walk-in coolers, sterile areas, and chemical storage. Sectioned, vented (open grid) and one-piece solid mat options available. Solid mats have a built-in ships edge to help contain spills. for general wet or humid environments, walk-in coolers, and sterile areas. 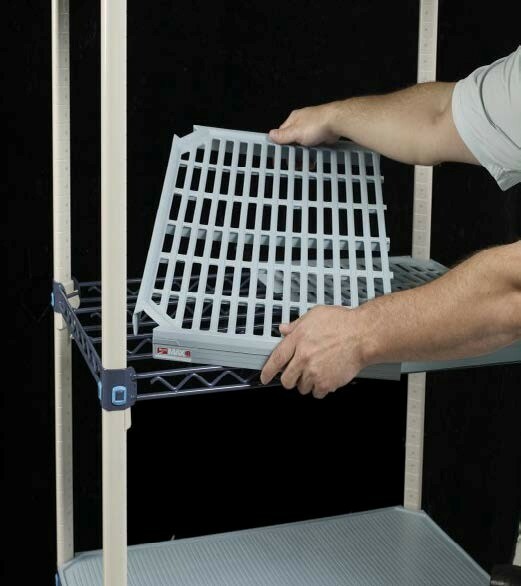 Quick adjust shelves allow units to be easily reconfigured without tools on 1” (25mm) increments to maximize storage space. 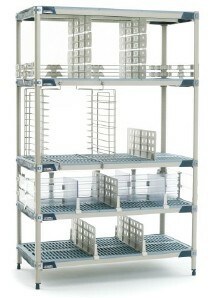 Shelving units hold as much as traditional Metro wire shelving, up to 800 lbs. 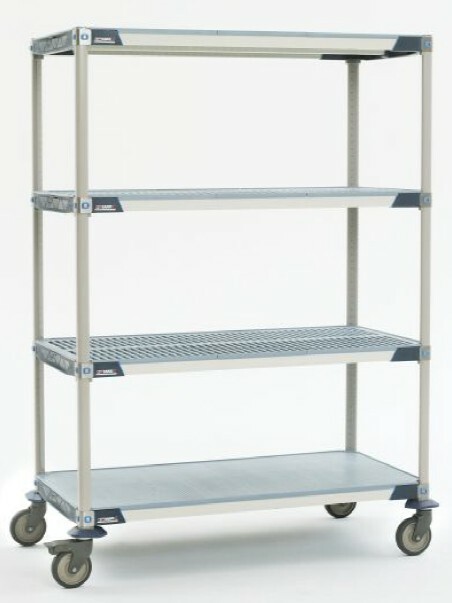 (363 kg) per shelf and 2000 lbs.per stationary unit. Please contact us so that we can help you design a MetroMax storage unit that works for you!